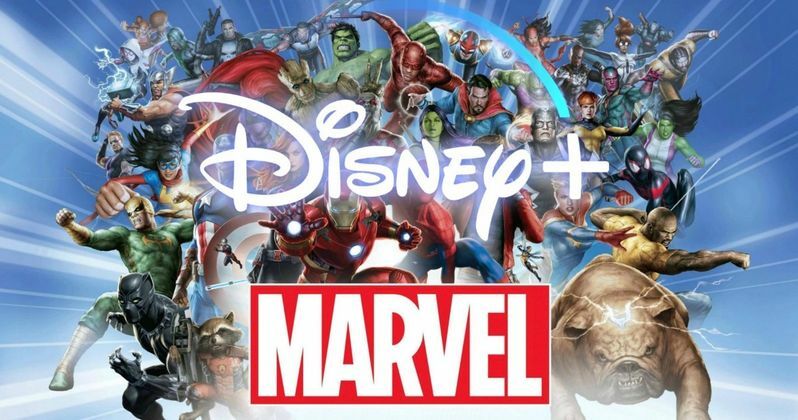 Disney+ is gearing up to announce its biggest plans in a presentation to investors this Thursday. But before that kicks off, Disney announced 10 new unscripted reality based series for its impending streaming lineup. Included in the announcement are two brand new Marvel docuseries. First up is a show tentatively called Marvel's 616. It will be an anthology documentary series that explores, 'the intersection between Marvel's rich legacy of stories, characters and creators and the world outside your window'. Each episode will be told by different director as they dip into the 'rich historical, cultural and societal context that has become inseparable from stories of the Marvel Universe'. Marvel New Media is producing the show in partnership with Supper Club. Marvel mainstay Joe Quesada is on as an executive producer working alongside other such luminaries as Stephen Wacker, Shane Rahmani, John Cerilli, Harry Go and Sarah Amos for Marvel. David Gelb, Brian McGinn and Jason Sterman will represent the Supper Club side of things. Second is Marvel's Hero Project, which will follow a few young 'heroes' who are making a difference in their own communities. These will be children of different ages who have devoted their lives to 'selfless acts of bravery and kindness'. Marvel will be celebrating the notion of what a true hero is and can be with this docuseries that also comes from executive producer Joe Quesada. Stephen Wacker, Shane Rahmani, John Cerilli, Harry Go and Sarah Amos are also back for this second Marvel reality series. Maura Mandt and John Hirsch will be working alongside them as executive producers through their MaggieVision Productions banner. Along with the 8 other series announced, Disney+ also announced its first overall deal with Supper Club, who are working on Marvel's 616, as well as a few other upcoming shows. That team includes David Gelb, Brian McGinn and Jason Sterman, best known for their work on Netflix's Chef's Table. The trio will also be working on a new Disney+ show called Earthkeepers. It will put the spotlight on conservationists, and 'centers on the adventurous lives of the people changing the way we see the animal kingdom'. Also on the upcoming docket are Disney-themed cooking show Be Our Chef; an anthology for movie buffs called Cinema Relics: Iconic Art of the Movies; and Encore!, a musical theater show coming from Frozen star Kristen Bell. Other shows in the slate include a family therapy show called (Re)Connected, Rogue Trip, which will serve as a travel guide, and Shop Class, which is a good old fashioned competition program. Rounding out the upcoming slate of 10 unscripted series is the untitled docuseries focusing on Walt Disney Imagineering. This exciting hour of television will go behind the scenes of Disney Parks for a look at the people responsible for bringing Disney World and Disneyland to life. The lineup hints at the family friendly vibe Disney is going for in their programing, leaving the edgier fare to other streaming outlets like Netflix, Hulu and Apple. Disney+ is expected to launch in the last half of the year, led by the original series The Mandalorian, which is Disney and Lucasfilm's first ever live-action Star Wars TV show. This initial announcement about Disney+'s reality show plans comes from The Hollywood Reporter. Expect a ton more of announcements to come later in the day.